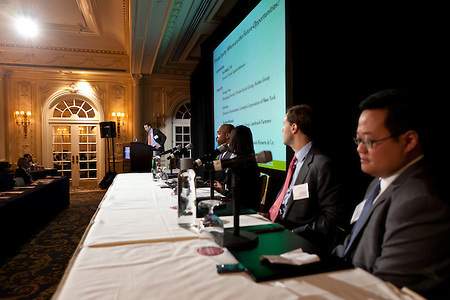 SEO Annual Alternative Investments Conference was held on Tuesday, May 17, 2011 at the Essex House in New York City. s within the alternative investment arena; Network with experienced professionals from various segments of the industry and Share insights and dialogue with aspiring and experienced finance professionals. During this day long event, industry discussions were facilitated by leaders who focused on the private equity and hedge funds sector, providing insight to rising professionals with valuable information. Institutional investors, fund managers, consulting firms, and other providers within the alternative investments industry foster the growth and knowledge of the next generation of leaders by participating as panelists and supporters of the conference. The conference was organized by Sponsors for Educational Opportunity (SEO). The conference is part of SEO’s Alternative Investments Program, which includes the Alternative Investment Fellowship Program (AIFP) which was launched in 2009. 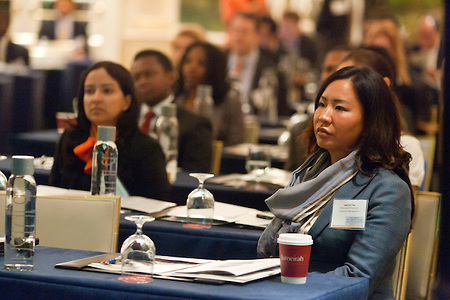 The AIFP is an educational program for young professionals from backgrounds traditionally underrepresented in the alternative investments industry. The AIFP combines workshops, training and mentoring to strengthen Fellows as candidates for positions in private equity and other alternative investments. The program also improves Fellows’ skills as analysts by exploring strategic decisions involved in transactions from the client’s point of view. Kohlberg Kravis Roberts & Co. and TPG partner with SEO for the AIFP. Most recently, Audax Group joined with SEO to identify talent for Audax’s undergraduate summer analyst program, providing another pathway for talented individuals to gain access to the industry. This entry was posted on Tuesday, November 15th, 2011 at 9:45 am. It is filed under Assignments, Corporate Photographer, Event Photographer and tagged with conference, corporate event, corporate events photographer New York, corporate photographer new york, Essex House Hotel, event photographer, Event photographer New York, financial conference, Jeffrey Holmes Photography, minorities, New York photographer, Sponsors for Educational Opportunity, students of color. You can follow any responses to this entry through the RSS 2.0 feed.